In August 1939, curators at the Louvre nestled the world's most famous painting into a special red-velvet-lined case and spirited her away to the Loire Valley. Thus began the biggest evacuation of art and antiquities in history. As the Germans neared Paris in 1940, the French raced to move the masterpieces still further south, then again and again during the war, crisscrossing the southwest of France. At times Mona Lisa slept at the bedside of curators who were painfully aware of their heavy responsibility. 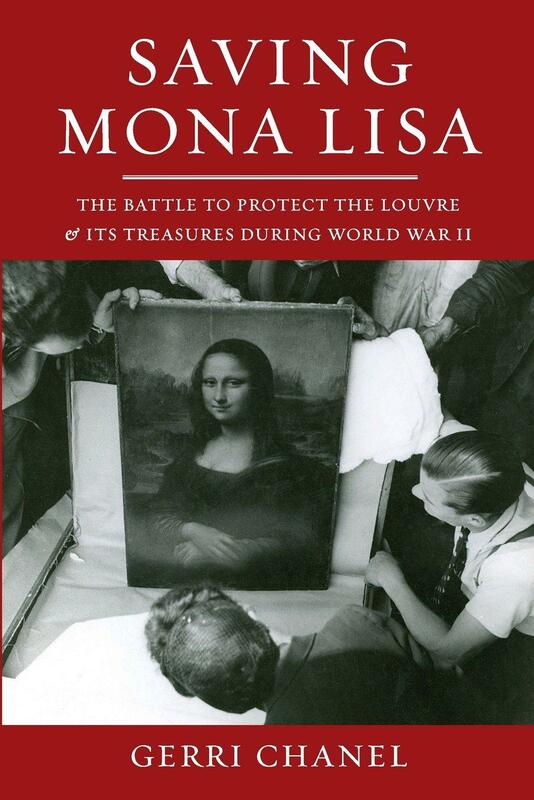 Throughout the German occupation, the Louvre's staff fought to keep the priceless treasures out of the hands of Hitler and his henchmen and to keep the Louvre palace safe, many of them risking their jobs and their lives to protect the country's artistic heritage. Among the immortals—Leonardo, Rembrandt, Picasso—Michelangelo stands alone as a master of painting, sculpture, and architecture. He was not only one of the greatest artists in an age of giants, but a man who reinvented the practice of art itself. Throughout his long career he clashed with patrons by insisting that he had no master but his own demanding muse and promoting the novel idea that it was the artist, rather than the lord who paid for it, who was creative force behind the work. A one-of-a-kind blend of art, nature, and conservation, The Underwater Museum re-creates an awe-inspiring dive into the dazzling under-ocean sculpture parks of artist Jason deCaires Taylor. Taylor casts his life-size statues from a special kind of cement that facilitates reef growth, and sinks them to the ocean floor. There, over time, the artworks attract corals, algae, and fish, and evolve into beautiful and surreal installations that are also living reefs. This volume brings readers face to face with these wonders and explains the science behind their creation. There is a pair of exciting exhibits at The Hyde Collection in Glens Falls, NY. Larry Kagan: Lying Shadows in the Wood Gallery and Emerging from the Shadows: Edward Hopper and his Contemporaries in the Hoopes Gallery. Both are on display through September 14th. Michelle Delaney is the Director of the Smithsonian’s Consortium for Understanding the American Experience and is the author of the observation that the Catskill Region is not only the Birthplace of American Art, but she says growing research shows that it’s also the Cradle of American Art. Delaney will be speaking tomorrow at 1PM at the Pratt Museum in Prattsville. The Paintings, Watercolors and Drawings of D. F. Hasbrouck American Impressionist is the new exhibition at The Pratt Museum. Carolyn Bennett, Museum Director is here to tell us about that and big history of THIS small museum.